Free Printable Basic Multiplication Worksheets. Free Printable Basic Multiplication Worksheets, that you can use as a quiz or practice for kids at home or school. Print the Basic Multiplication Worksheets free using your home laser or inkjet printer, and share with students at math classroom. The Basic Multiplication Worksheets includes animals that makes multiplication easy and fun for kids. 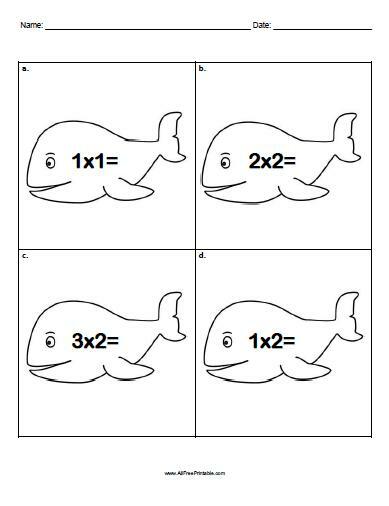 We have 3 Basic Multiplication Worksheets to choose from Whales, Hippos, and Dinosaur. Click the link below to download or print the Basic Multiplication Worksheets now in PDF format.